Friday 3rd November saw many of the Eilean Donan team gather with the tourism industry’s finest at the Drumossie Hotel in Inverness for the prestigious HITA 2017 Awards. This annual event celebrates the very best of tourism operators within the Highlands & Islands and has become a real fixture in the tourism calendar. With a record-breaking 232 entrants this year, the awards have firmly established themselves as the benchmark for the industry. We were finalists in the brand new category of “Best Heritage Tourism Experience,” introduced to mark the Year of Heritage, History & Archaeology, and despite the fact that we were previous winners of the Best Visitor Attraction award back in 2014, we really had no idea what to expect. 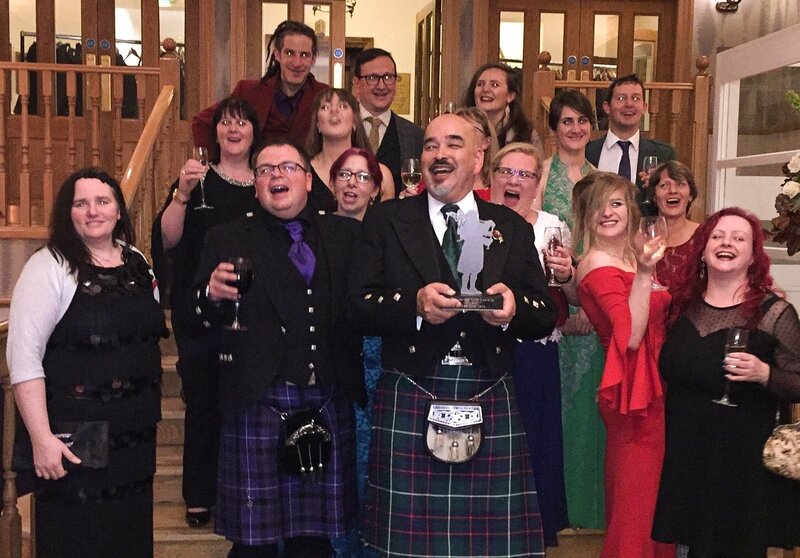 Well incredibly, we won our 2nd Piper Trophy, and will now go forward to the Grand Final of the Scottish Thistle Awards on the 15th of March 2018 along with four other Regional Winners of the category. To say we are hugely proud and delighted is a massive understatement! It has been an incredible year for everyone involved with the castle and has seen record-breaking visitor numbers for the 6th consecutive year. Without doubt, it is the sheer commitment, professionalism and effort from the entire team that has led to this success, and without whom we would simply not excel in what we do. On behalf of the Conchra Charitable Trust who operate Eilean Donan, I’d just like to thank each and every one of them! Castle gains two nominations in prestigious industry awards. Everyone loves recognition for a job well done, and the entire team at Eilean Donan are no different! So we’ve all been absolutely thrilled to recently learn that we have received not one, but two prestigious nominations for industry awards. The first nomination is as one of four shortlisted finalists in this year’s Highlands & Islands Tourism Awards, in the category of Best Heritage Tourism Experience. 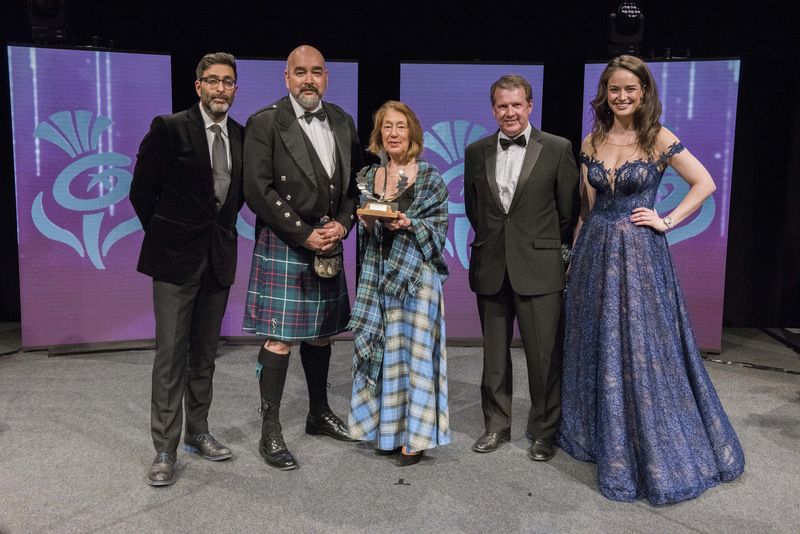 These awards are a regional part of the acclaimed Scottish Thistle Awards, and represent the very pinnacle of achievements within the Scottish tourism industry, so as you can imagine, we’re all very proud to be even considered. We were truly delighted to win the HITA award for Best Visitor Attraction back in 2014, so a further nomination is a great reward for our on-going commitment to providing the very best visitor experience we can possibly deliver. The Awards Ceremony will be held at the Drumossie Hotel in Inverness on the night of the 3rd of November, and is always a highlight of the Highlands & Islands tourism calendar! Our second award nomination is for Best Wedding Venue – Highlands & Islands, in this year’s VOWS Awards. It’s the first time ever that we’ve been recognised in these awards, and it’s even more special as it’s our Brides & Grooms from weddings at the caste who are directly responsible for our nomination. Rona, our wedding co-ordinator is super-excited, and will be attending the awards ceremony in Glasgow on the 20th of November. Ultimately, it’s the dedicated team of people at Eilean Donan along with their hard work and effort that is being recognised in these nominations. As a team of only 65 strong during the peak months, we have welcomed over half a million visitors to the site in 2017. To receive industry recognition of the jobs we all do and love is accolade in itself, regardless of whether we win or lose on finals nights! 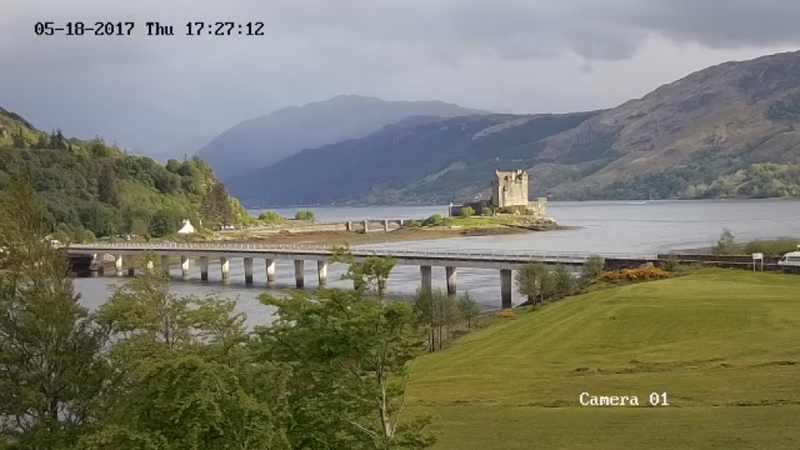 So after a great deal of effort we have finally managed to install our brand new live streaming webcam, located over at our Eilean Donan Apartments development. Offering a completely different perspective, the camera is now up and running and beaming video to all corners of the world. Over the last 5 years, our first webcam, located at the Visitor Centre of the castle has proved hugely popular, with quite literally millions of people utilising it. On site, we share a direct web-link for this camera to our visitors, and many of them will phone friends and family just so they can log on and enjoy a wee wave or greeting from their loved ones on the other side of the camera. Our 2nd camera, offers an entirely different view, and has been mounted on the lee side of one of the Eilean Donan Apartments chimneys which helps to provide a little shelter from the worst of the highland wind and weather. The other benefit of this location is that it offers reasonably high elevation to view the castle across Loch Long, with Dornie Bridge in the foreground.